The Onion Knight has spoken: ‘Valar Morghulis’. 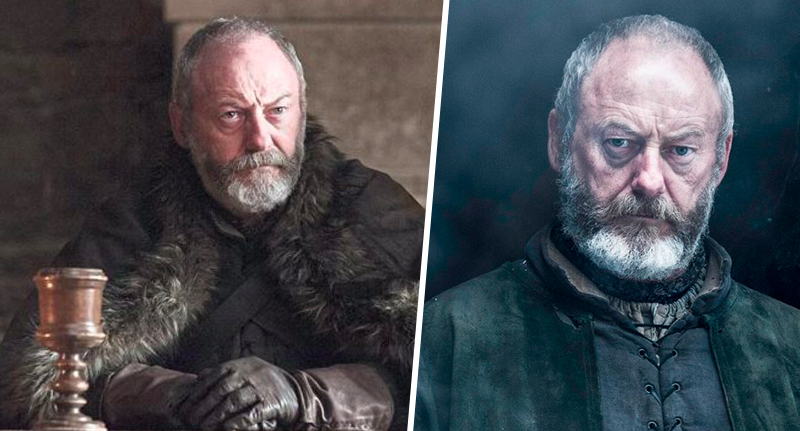 Liam Cunningham has played Davos Seaworth in 36 of the first 67 episodes of Game of Thrones, looking forlorn and pulling Very Serious Faces alongside the main players for the Iron Throne, as many others fall. But the question Cunningham is probably now pretty sick of answering is on everyone’s lips: Does he know who’ll be left standing – or sitting on the most uncomfortable chair in TV history – come the end of The Great War? The 57-year-old actor, who hails from Dublin, appeared on The Late Late Show to talk all things throne with host Ryan Tubridy on RTÉ One. Cunningham has managed to really stoke the wildfire of hype surrounding the eighth and final season of HBO’s ground-breaking series, which has recently been teased. There’s been much speculation up until this point about who’ll survive. Just ten days ago, fans took a deep dive to interpret the Crypts of Winterfell teaser trailer, to find what they think is evidence of the deaths of two Stark keystones. The trailer sees Jon Snow, Sansa Stark and Arya Stark walk the lengths of the gloomy crypt, haunted by voiceovers echoing their now-deceased family members from seasons past. They meet in a morbid reunion and come face-to-face with their own statues. Symbols of their mortality, perhaps? Or the impending doom which awaits all who play the Game of Thrones. If you watch the teaser trailer, you’ll notice the who’s who of the Stark clan in statue form, presumably commemorating their inevitable deaths. Now death is a fate which befalls us all, but a particularly untimely and grim fate for those related to Ned Stark, as we learned at the Red Wedding. And Redditors have noticed there’s a bit of discrepancy in the apparent ages of said statues. They’ve put two and two together, and deduced what age the characters are set to die accordingly, with Jon Snow appearing to grow older and outlive Sansa and Arya. Now, only weeks after the teaser trailer release, Cunningham has mused ‘all men must die’, seeming to confirm audiences can expect death with a slice of death on the side in the curtain call for Westeros. Cunningham confirmed his character would be alive at the start of season eight because he was alive at the end of season seven, in a cutting jest about people’s need to know. He isn’t saying whether Davos will last the season, though. I can also repeat what the head of HBO said — Richard Plepler, he’s seen them, they’re not finished yet, there’s still a lot of CGI and stuff to do on them — he’s seen the six episodes twice, he said, and it’s like watching six movies. It’ll be a different style; it’ll make epic seem small, this season. In the words of Davos himself, the prediction of mass killing seems to be ever more likely to come true.